Habitat translocation is an under-utilised conservation tool which is likely to become far more important and more frequently used in the years to come as the pressures on land availability increases. If used effectively it can be used to prevent the loss of areas of valuable habitat which would otherwise be destroyed, usually through development. 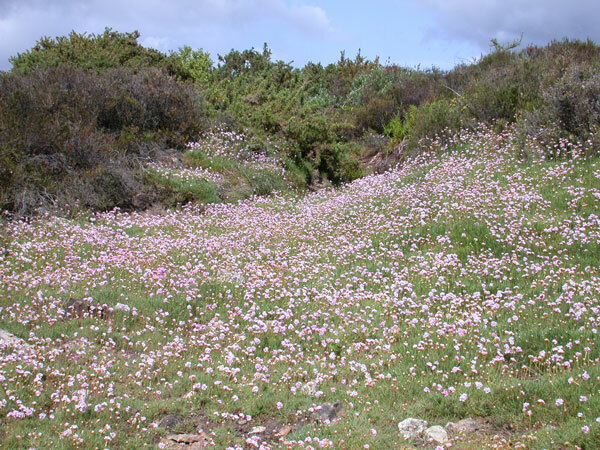 We were appointed to translocate an area of heathland (3720 sqm) from former mining land in west Cornwall to allow for the creation of a residential site. We worked closely with the University of Exeter to carry out pre and post translocation assessments of the habitats and species present. Having evaluated the site, it was decided that moving the complete habitat in large turfs was the best solution; the careful preparation of the receptor site contributed to the success of the project. The translocation was carried out under our supervision and monitoring showed that a large proportion of the species present (plants, mammals, invertebrates and reptiles) pre-translocation were present post-translocation. As a result, the translocation was a major success.